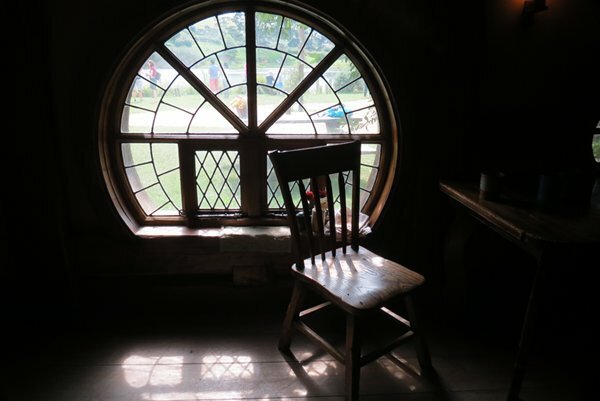 I am writing somewhat later than dated, trying to catch up on a whirlwind of activity in a brief summary. 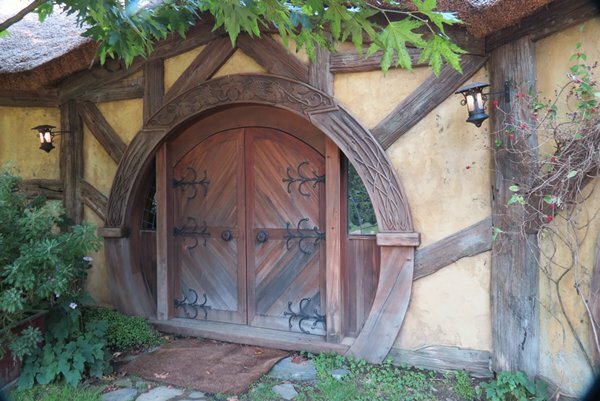 Any fan of the Hobbit films, could hardly resist a visit to Hobbiton, near Matamata, SE of Auckland. Even the tourist office in town is themed. And my goodness haven’t the Kiwis made a business out of the film fame. 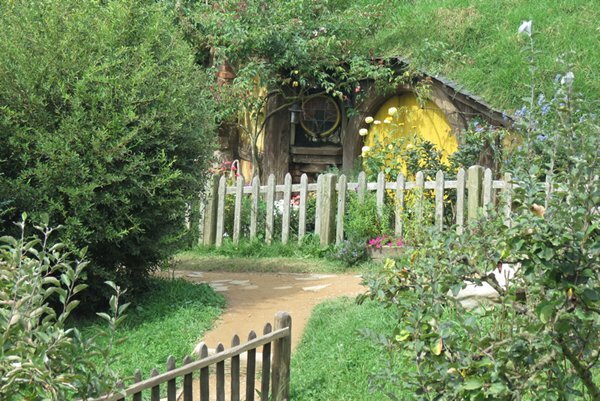 Only available through booked tours, coaches run from Matamata to the site some several kilometres SW of the town where you disembark, browse the really expensive gift shop and await your tour. 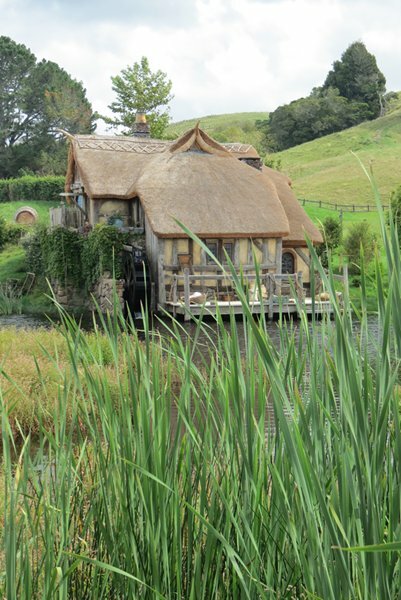 Back on a coach, we travelled through rolling hills grazed by sheep to the sleepy hollow complete with ancient tree and its own lake that is now transformed into Hobbiton. What saves the experience from being well organised but horribly commercial; following your guide, hurry along now, we are holding up the next group, have your photo taken here, no not that way, stay together. 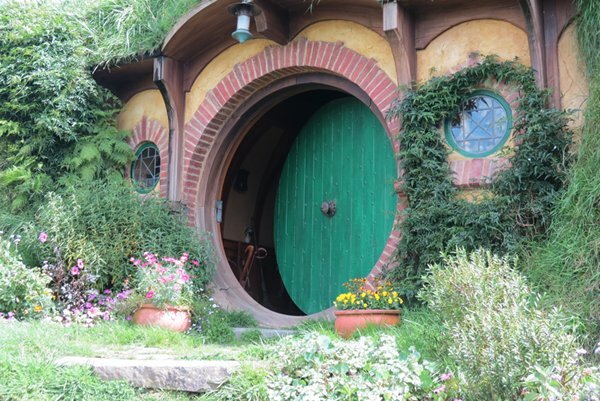 ‘alrighty’, is that the place is genuinely charming, the sets brilliant, Peter Jackson’s vision and obsession with detail down to an artificial tree with individually painted leaves of just the right colour, and yes he made them paint all of them again because the shade wasn’t quite right, is awesome. 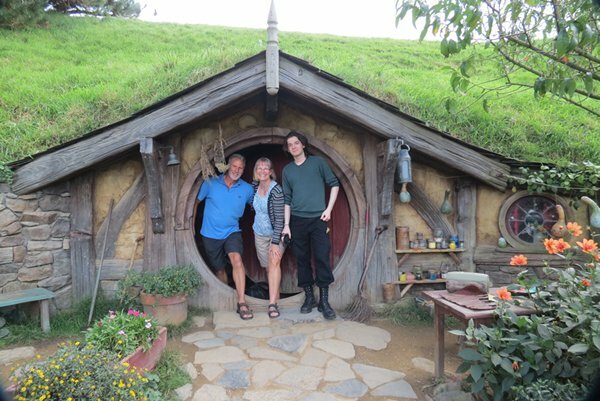 A sample of photos, the first is of us posing by a full size Hobbit hole, some are scaled down to make us humans appear bigger.